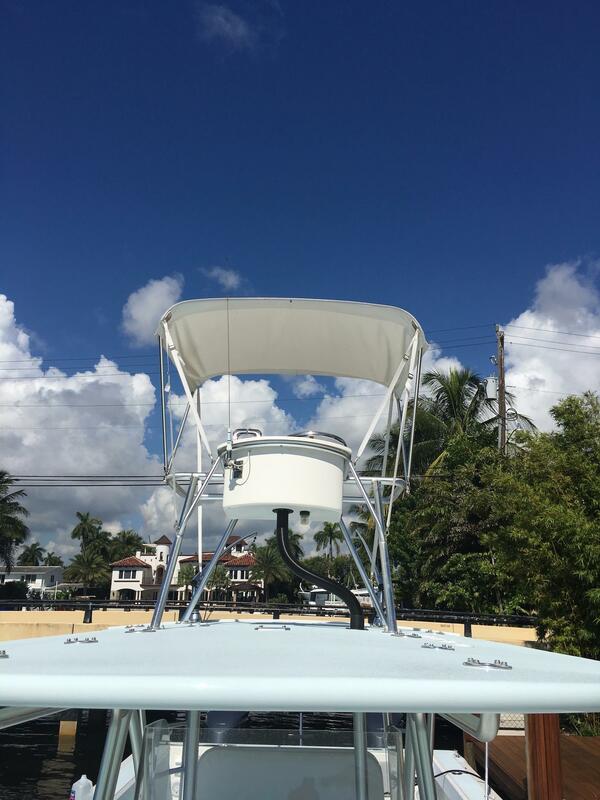 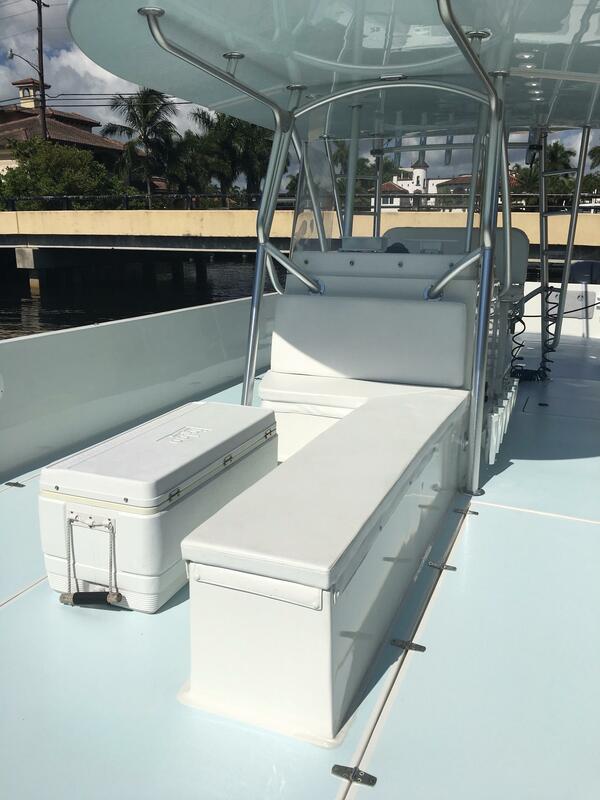 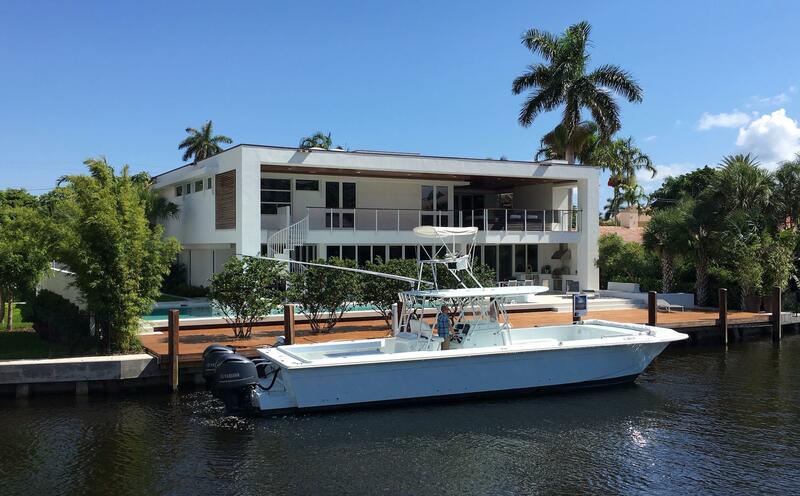 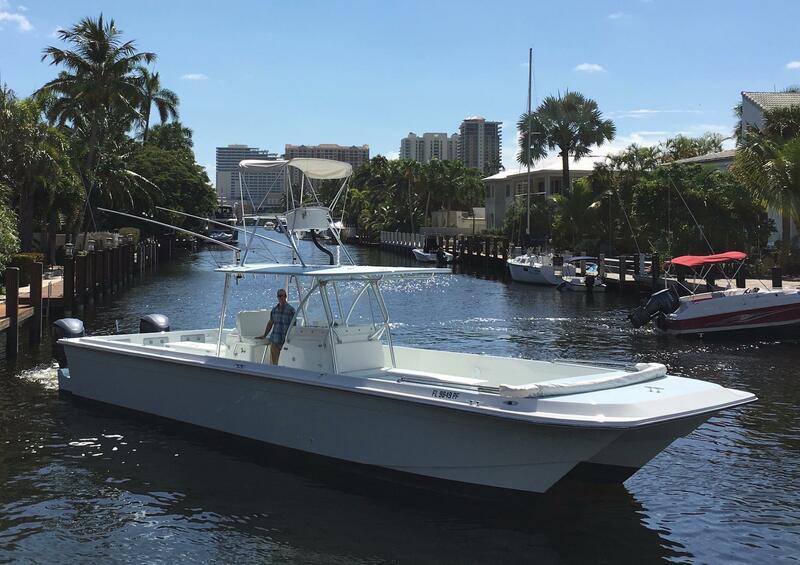 This 1998 43' Perfection Catamaran, originally powered by twin 350 Yanmar diesels, was completely refurbished in 2015. 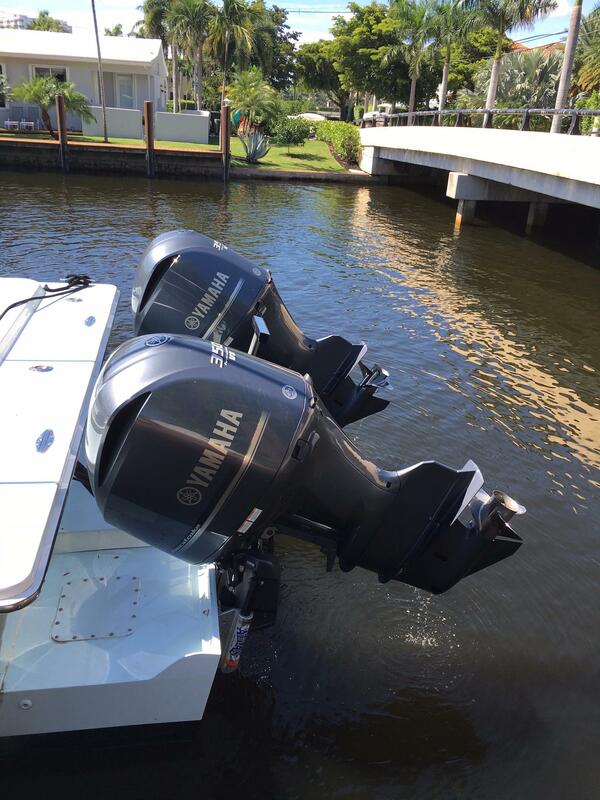 The Yanmars were replaced with new twin Yamaha 350 outboards with warranty to September 2017. 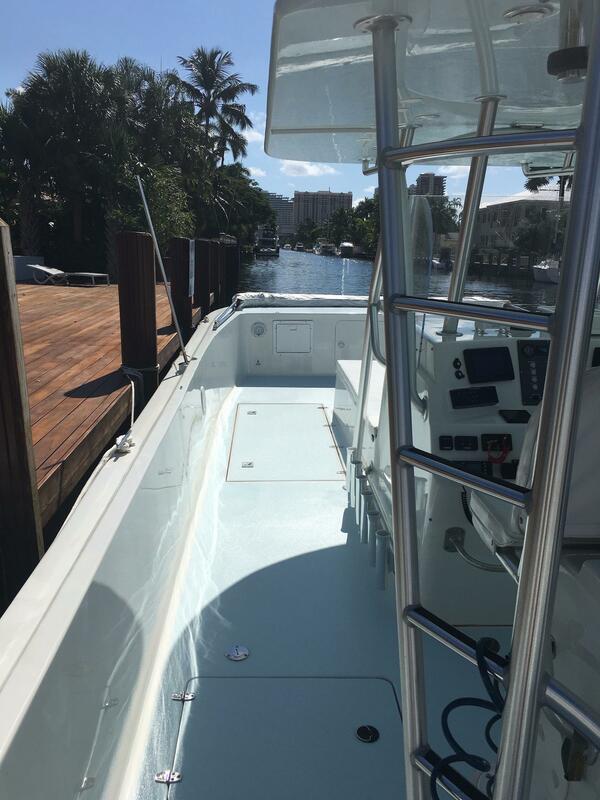 By removing the diesels the boat was left with enormous storage. 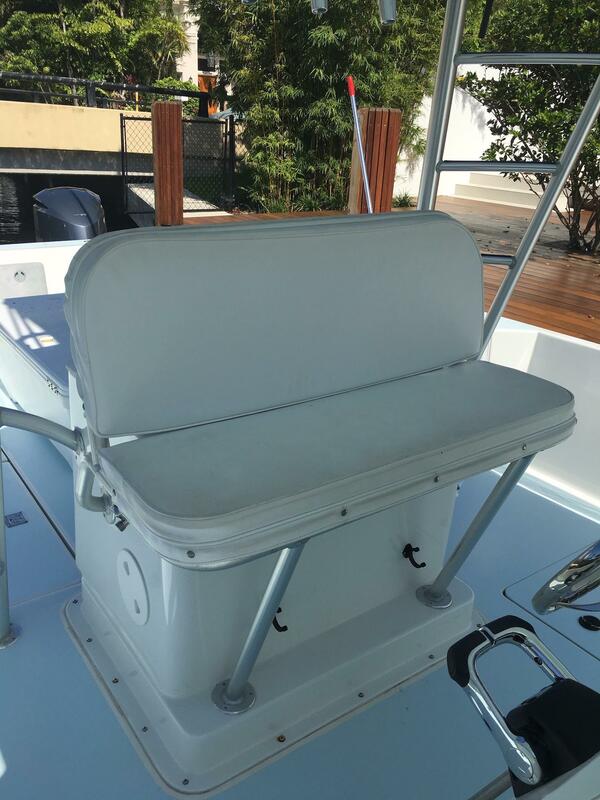 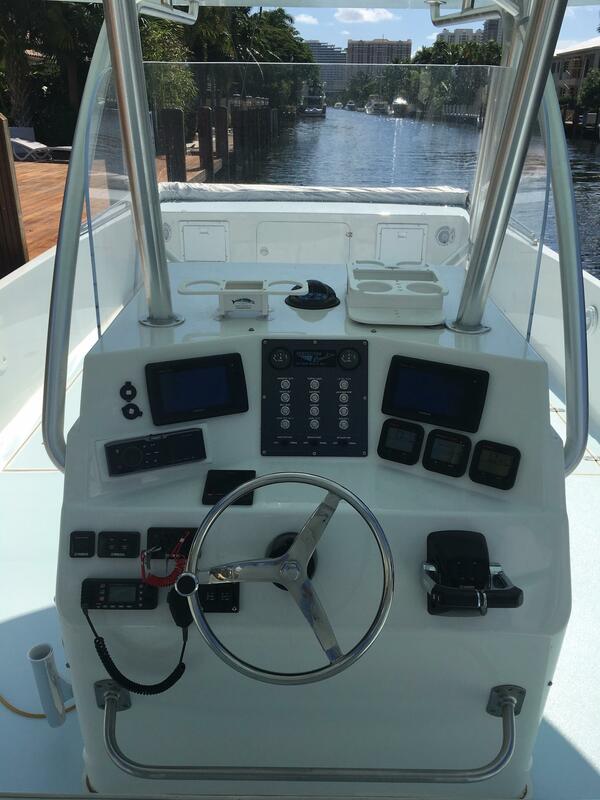 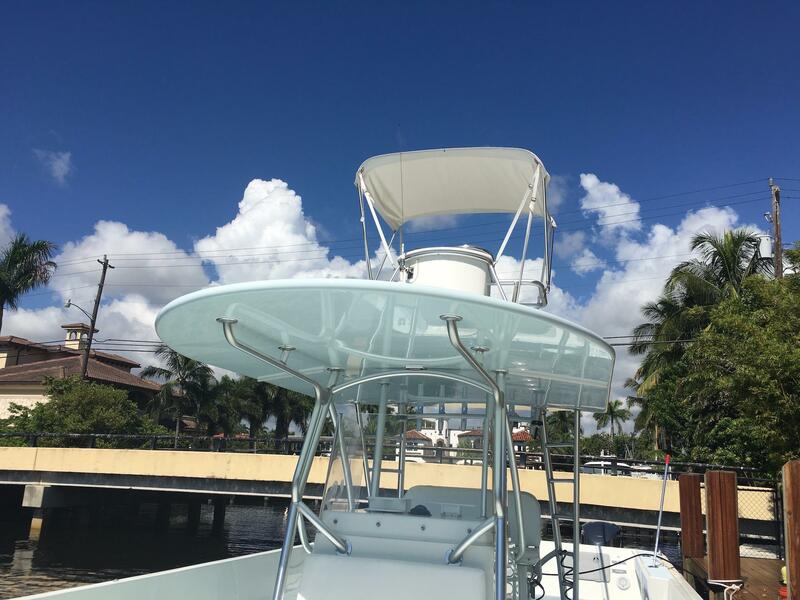 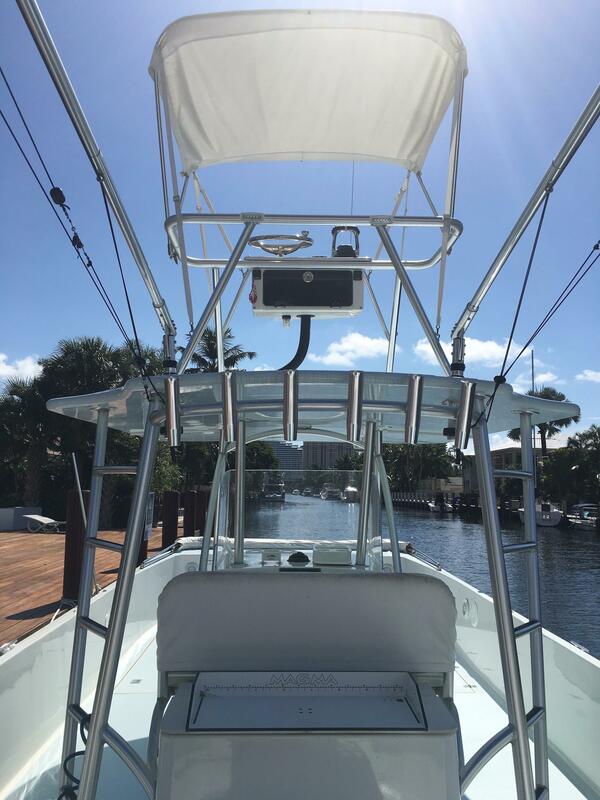 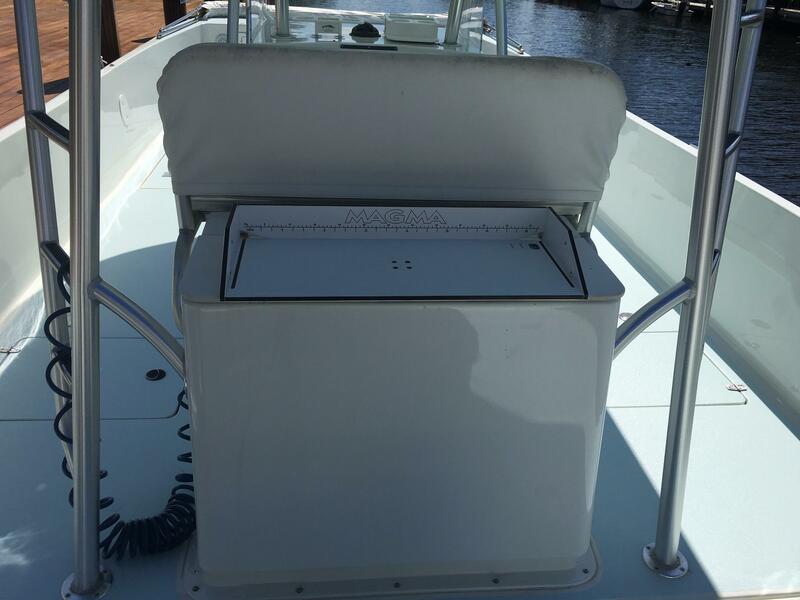 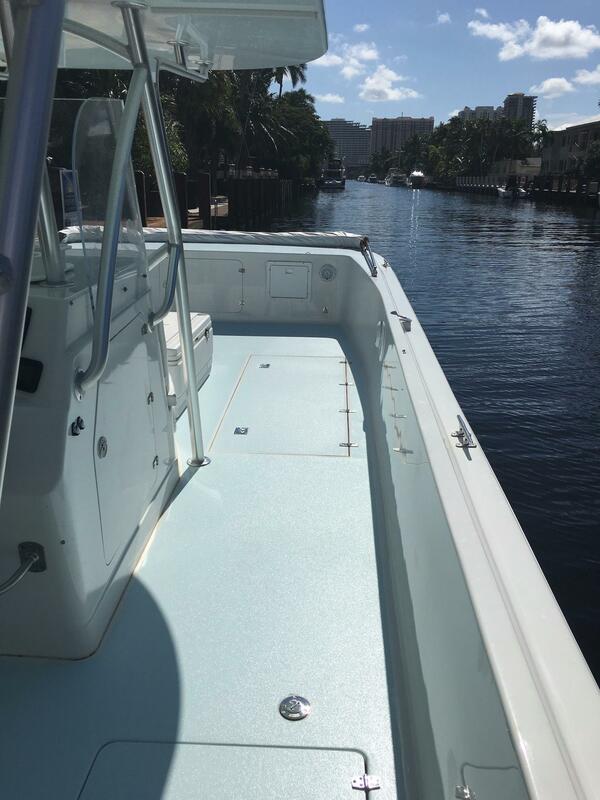 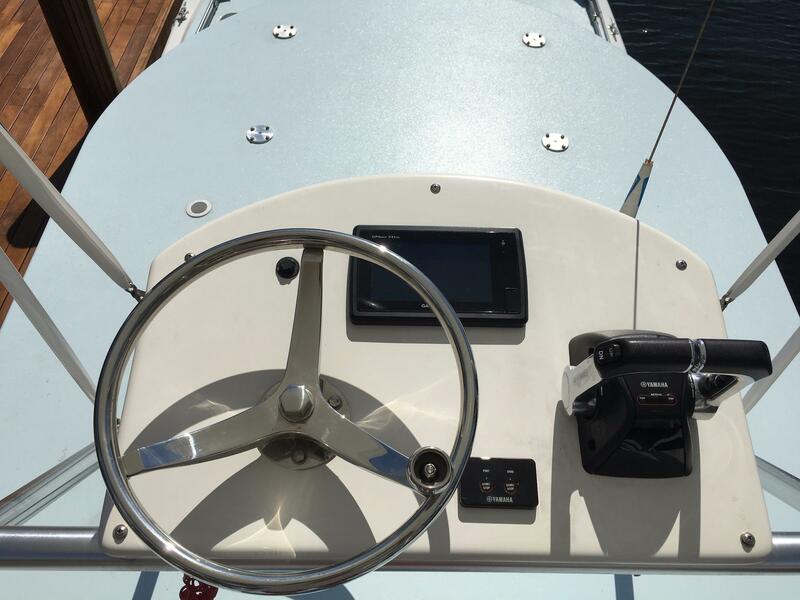 The hull was painted inside and out, the console redone and a walk around tower with a molded fiberglass top and upper control station was added. 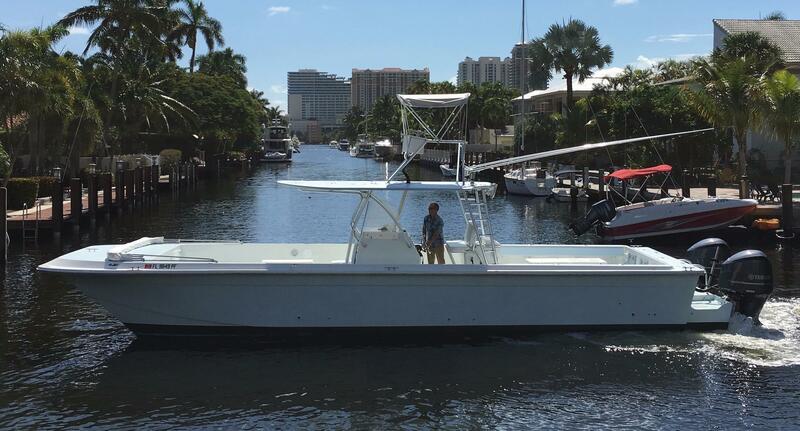 She carries a 500 gallon fuel capacity and cruises at 30 knots with a top speed of 43 knots. 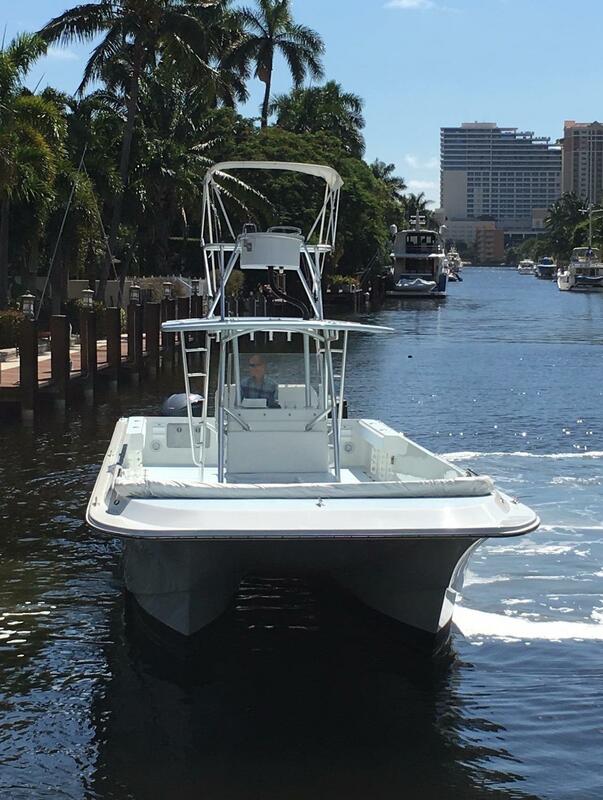 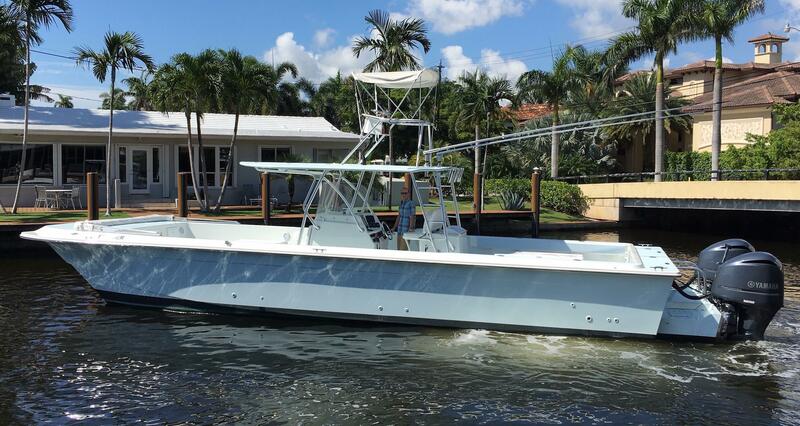 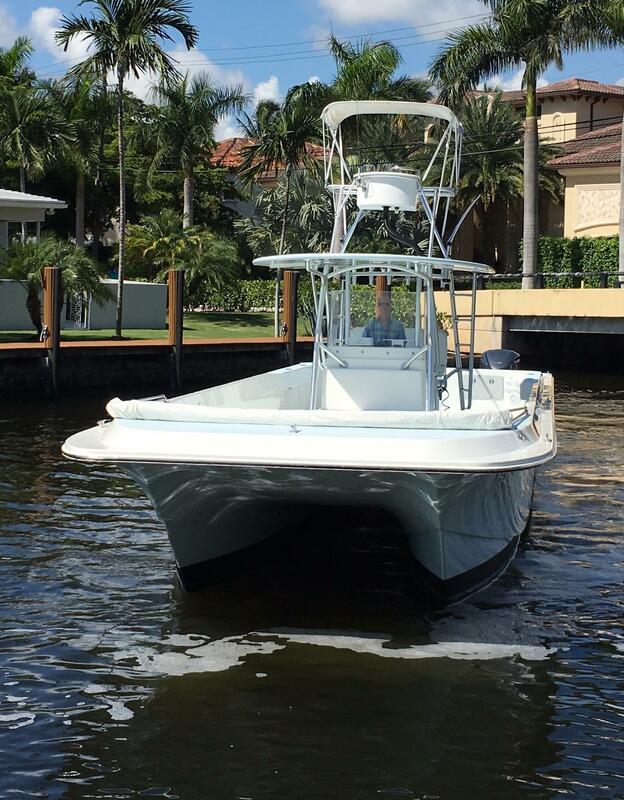 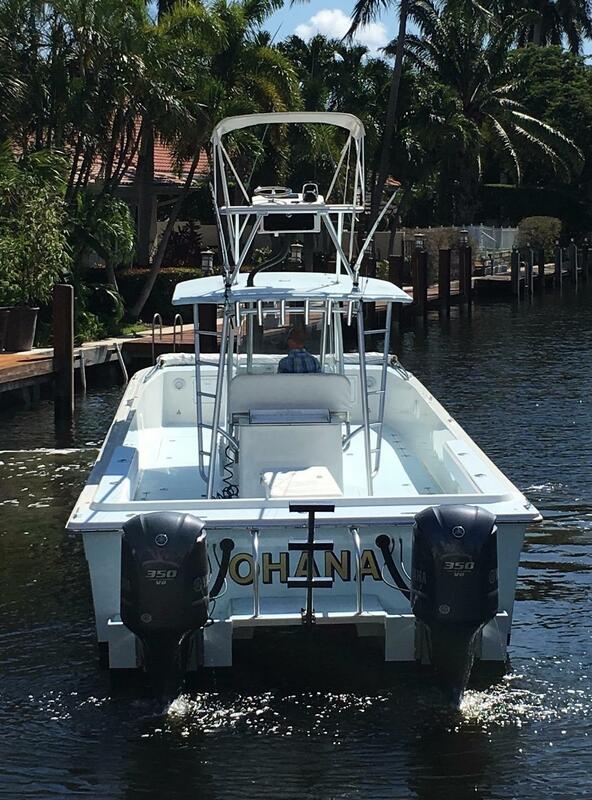 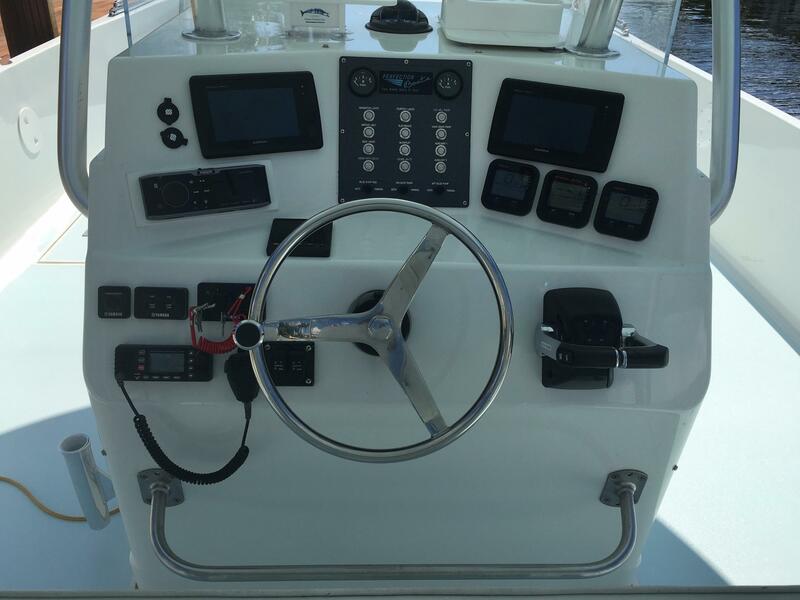 It's an awesome SE Florida/Bahamas/Keys Fishing and Dive boat!